When we decided to update our wedding photography branding the main thing that we had in mind was our logo. But very soon after speaking with Ravyn at Three Fifteen Design we fully understood that branding is way more than just a logo. 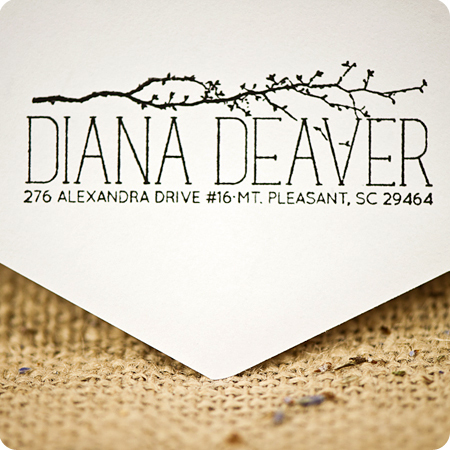 With this in mind we used our new look to rebuild our website, get a custom rubber stamp, produce some beautiful hand made cards for goody bags, print new business cards, and even have this custom return address stamp made at RubberStamps.net. We’d already used the round variation of our logo to produce a rubber stamp, which we used on our promotional cards, so we decided to use the longer one for this purpose. 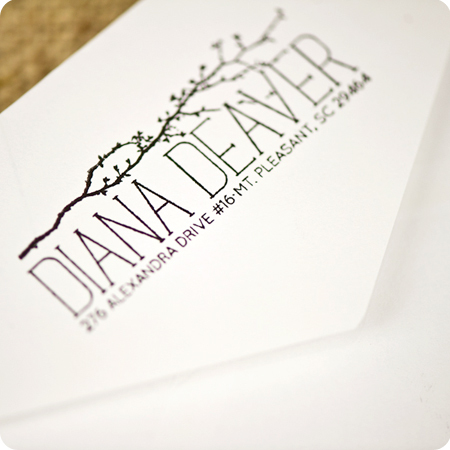 It fits great on the reverse side of a standard envelope. We are very pleased with the final result. One of the most exciting things about this process has been producing unique items that help to show who we are, and this stamp fits in with that vision perfectly. Do you make these custom for customers? 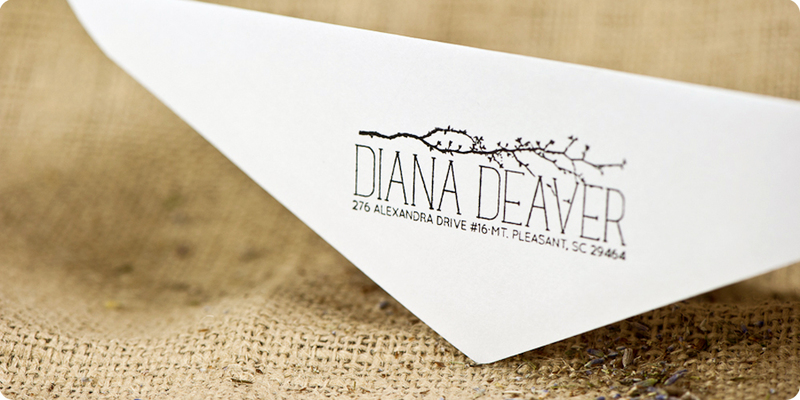 I have been looking for a new rubber stamp for a return mailing address. Do you offer that?